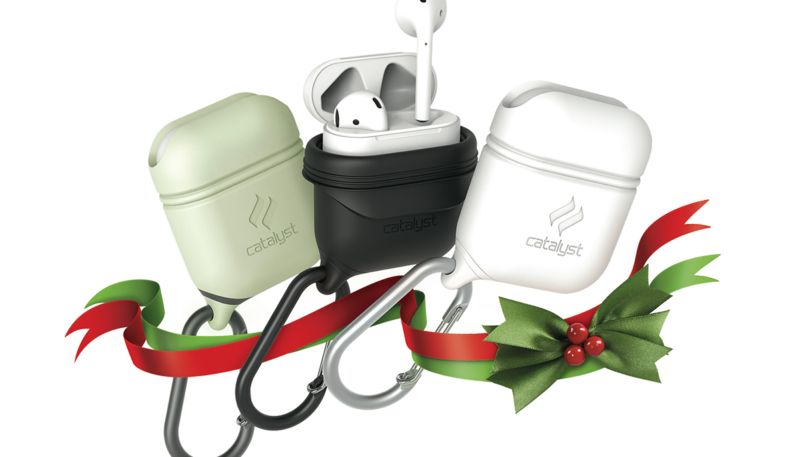 Protective waterproof case maker Catalyst on Tuesday announced three Special Edition cases for Apple AirPods are available today exclusively at Apple’s Online Store, select Apple stores and Catalystcase.com for $29.99. The Special Edition Catalyst Case for AirPods offers an IP67 waterproof rating to 3.3ft (1m) and drop proof protection to 4ft (1.2m). The cases is made from a soft, durable silicone material designed to keep water and dust out and protects the AirPods from drops. The case is available in three exclusive colors, black, white, and glow-in-the-dark. The case also features a premium lightweight carabiner in a matte finish, and is designed with an intuitive inward-facing clasp which makes it easier to hook onto belt loops, bags, and other belongings.